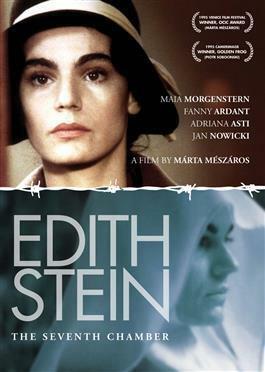 This is a moving, artistic portrayal of the life of Jewish philosopher, Catholic convert and Carmelite martyr, Edith Stein, capturing the interior struggles of this extraordinary woman, as well as the great conflicts from her decision to convert to Catholicism. Deeply influenced by the writings of St. Teresa of Avila, she joined the Carmelites and took the name of Teresa Benedicta of the Cross, and was put to death in Auschwitz in 1942, and canonized by John Paul II in 1998. This film shows how two worlds were united within her, the Jew and the Christian, in absolute coherence in her search for truth. She has become one of the most beautiful symbols in a horrifying period of history who sought to transform her sufferings under the Nazis into a journey through the “interior castle” as the way to mystical union with God. One phrase, “Love Conquers Fear” embodies her philosophy of life. Shot in a kind of a rich expressionist realism, it’s backed by poignant chant music that makes every frame haunting and alive. Actress Maia Morgenstern (The Passion of the Christ) stars in a powerful performance as Stein. Includes a 16 page Collector's Booklet by Steven Greydanus and Carl Olson. "A challenging, often fascinating film, The Seventh Chamber is a gratifying tribute to a great saint. It shows that for Edith Stein it is only by knowing God that we know ourselves; only through Jesus that we know God; and only through the cross that we can know Jesus."